Kamal Hassan – Aascar Ravichandran – Ravi Teja – Suriya? Kamal Hassan had reportedly planned a film with Aascar Ravichandran which could either have been “Marudhanayagam” or “Thalaivan Irukkiran”, said sources but now the twist in the tale came in the form of Selvaraghavan directing the Universal Hero. The two big connoisseurs cannot make a film together and might end up in significant ego clashes, say sources. So, this film is not most likely to happen but Kamal Hassan wants to wield the megaphone once again and so has decided to make a film with his own script. Kamal Hassan has narrated his new script to producer Aascar Ravichandran who is flush with funds to dole out for the high budget film. 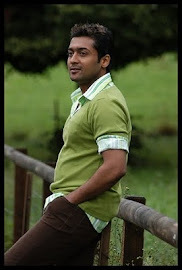 The “universal hero” wants to make his own film and has also decided to cast “Mohanlal”, “Surya” and “Ravi Teja”. Kamal Hassan has always identified the best of talents like Madhavan and now he finds Suriya as the best choice for one of the roles he wants him to play along with the best of actors like “Mohanlal” and “Ravi Teja”. Best thing you upload in web to print . Good admin why u update wholesale printer related article. By Online Printing.